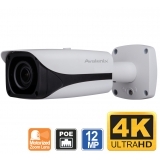 4K Security camera systems by CCTV Camera World allow for the best quality image and clarity. The 4K cameras featured on this page use state of the art 8MP image sensors. This allows the camera to produce an image that is nearly four times the size of a standard 1080P HD security camera. Larger sensors also capture more light, which improves low-light performance, and overall picture quality. 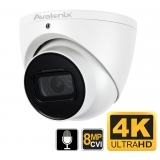 High pixel density allows for clear digital zoom which is another great benefit of our 4K security cameras. No more worrying about pixelation when you zoom in to gather more detail like a person’s face or license plate numbers. Finally, our 4K security camera systems support H.265 encoding (also called HEVC or High Efficiency Video Coding), which helps keep the file size smaller without sacrificing any quality. 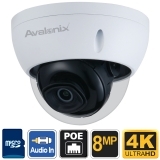 Rest assured knowing that our security cameras capture the highest quality picture to protect your home or business. 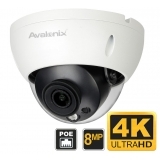 Click here to read more about 4K surveillance cameras. CCTV Camera World is proud to announce that we now carry the highest resolution IP cameras available in the security camera industry. Our line of Ultra HD (aka UHD) 4K NVR recorders and IP cameras support up to 4K resolution real-time live viewing and recording, and camera sensor resolutions of 8 megapixels and 12 megapixels. 4K camera systems are perfect for large area coverage and identifying objects at a distance even in recorded video. You can capture video with wide-angle overviews with multiple focus points while maintaining the ability to digitally zoom in and focus on the fine details. 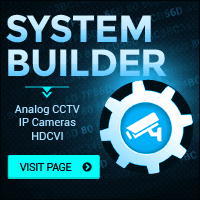 Depending on the size of the 4K security camera system you need, we offer network video recorders for 4K cameras in densities of 8, 16, 32, 64, and 128 channels. The 64 and 128 channel NVRs are available with hard drive Hot Swap ability which comes in handy in professional and business security projects where long term video storage is needed. Drive Hot Swap lets you replace video storage without ever having downtime. What is a 4K security camera? As you can see there is really no competition between the clarity of lower resolution cameras to the image our 4K security cameras capture. Even the above table cannot fully demonstrate the benefit of investing into a 4K resolution security camera system unless you see it for yourself. The much larger image size grants exceptionally better digital zoom for instances where you need facial detail and even license plate numbers. Is 8MP the same as 4K? The short answer is yes, 8MP is the same as 4K. However it’s important to understand the relationship between the Megapixel format and “K” or “P” format when talking about image resolutions. MP refers to Megapixel or Millions of Pixels, which is often spoke about when referring to a camera’s sensor, or what a camera uses to capture video or pictures. The “K” or “P” as in 4K, 2K, 1080P, or 720P refers to the video standard that is associated with the Megapixel lens a camera uses. 8MP and 12MP are both referred to as 4K resolution, which is also known as UHD, or UltraHD. Compared to 2MP or 1080P, known as standard HD, there are approximately four times the pixels in a 4K or 8MP image. Conversely a 2K or 4MP, known as QHD or Quad HD, image has roughly half the pixels of a 8MP image. The MP number is calculated from the actual resolution that a camera produces, examples include 3000x4000 for 12MP, 3840 x 2160 for 8MP, down to 1920x1080 for a 2MP camera. 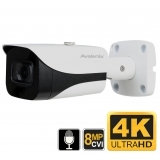 Why should I buy 4K security cameras? When considering a purchase that protects your home or business it is important to educate yourself of all the possibilities. With that in mind you want to ensure that you protect your investments in the best way possible. 4K security cameras allow you to rest at ease knowing you will not miss anything important that happens on your property. You do not want to sacrifice quality for the sake of saving yourself money upfront by going with a lower-end security system. Today’s criminals know what they are up against, and it is easy for them to sneak around or conceal themselves from lower quality cameras. 4K security cameras greatly reduce the opportunities these subversive culprits have to avoid critical surveillance. 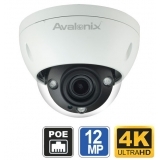 Why choose 4K IP cameras over 1080P? Mainstream CCTV cameras have been D1 resolution (704x480 pixels) for the longest time until 2014, with megapixel sensors being price prohibitive for the home or small business. As image sensor technology improves, it has gotten cheaper and allowed 1080P cameras to become so affordable that they are on pace to replace analog resolution security cameras as the base resolution for a starter system. 1080P HD security cameras are more than adequate for indoor use where the subjects are no more than 40ft away from the camera, and even for outdoor use in most cases. However, if you wish be able to zoom in and identify facial detail on recorded video at distances of 30ft or greater, that is only possible with 3mp ip cameras, or greater resolution cameras. If you're looking for the most detail at a wide angle, then 4K IP cameras are the recommended equipment. 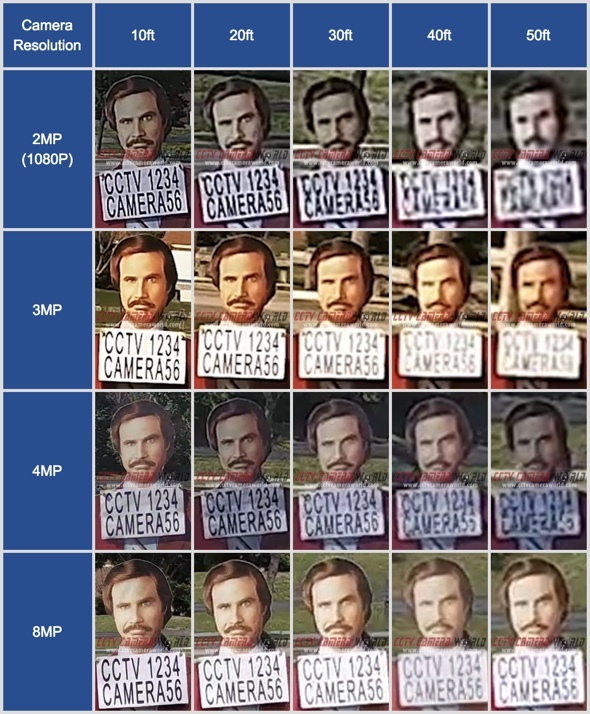 When you compare pixel count, 4K security cameras are 4x higher in detail than 1080P. This higher level of detail in the picture afforded by a higher pixel count makes 4K security systems ideal for high-traffic areas where detail is crucial in identifying the difference in someone dancing and fighting. Too often, lower resolution security cameras leave ambiguity lingering as to what really occurred in a surveillance video clip. 4K cameras clear up this ever so present uncertainty in video footage. Athletic fields, Schools, universities, big box retail, train/bus stations and government facilities are just a few of the industries that could benefit from these 4K security cameras.